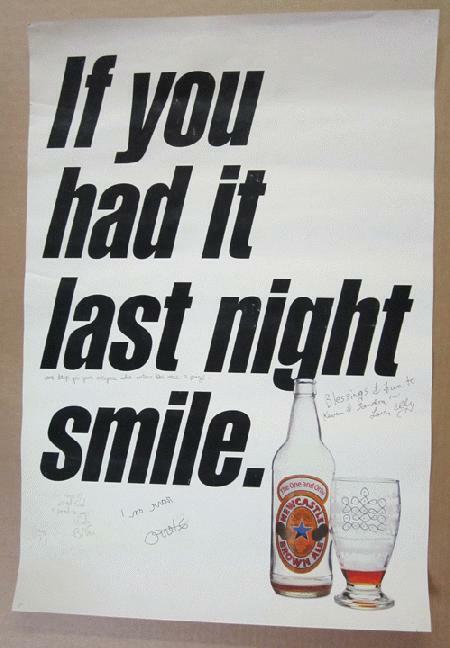 Original promo poster for Newcastle Beer. 17 x 25 on thin glossy paper. Written on, handling marks and several creases. Hand-signed by Newcastle girls.